Home buyers have awoken from the winter doldrums to help the housing market surge in February. There’s no reason to doubt that March’s stats will be rosy too and that 2019 is looking better. Sales single-family homes, townhomes, condominiums and co-ops, shot up 11.8%, the best pace since 2015. And it’s first time buyers who are leading the buying spree. NAR is calling it a recovery. NAR reported the median housing price in February was $249,500, up 3.6% from 12 months ago. The good news is that wages are rising slightly faster. With 1.65 million homes available, buyers are waiting for the best time to buy. Of course, markets are unique. San Francisco is unique from Atlanta, Los Angeles or Chicago or Denver. Florida and California too are unique, the economy seems to float all boats. Job creation is excellent and mortgage rates (4.37%) have begin to fall. S&P CoreLogic predicts home prices will rise 5% in the next 9 months. The hottest cities now are Midland, Texas; Chico, California; Colorado Springs, Colorado; Spokane Washington; and San Francisco-Oakland-Hayward, California. There were some interesting variations based on price and region. Home sales in the west under $250k dropped 29% while homes above $750k in the northeast jumped an average 18%. The Los Angeles, Atlanta, Tampa Sarasota, San Francisco, San Diego, New York, Boston, Seattle, Houston, Miami and Chicago housing markets have been quiet. Will the big markets in Florida and California bloom or will the smaller cities continue to draw workers, construction and home purchases? At this point, both look possible. This new update and projections for the 2019, 2020 US housing market offers key facts, data, perspective, predictions, price factors, expert opinion and forecasted trends from top sources such as NAR, Trulia, Freddie Mac, Zillow, Case Shiller, Trading Economics, and more. Although worries of a housing crash persist, a housing hungry Millennial middle class, and powerful economic performance will any outweigh housing crash indicators. As you’ll see in the charts, videos and opinions below this market is an interesting phase. This United States Housing Report is the most widely read and thorough update/prediction for 2019/2020, and other housing and economic data to 2026. Please bookmark for coming fresh updates! Looking for specific predictions for major cities: Los Angeles, New York, Seattle, Chicago, Philadelphia, San Diego, Miami, Boston, Bay Area, Tampa Sarasota, Denver, and Houston. See forecasts for California housing, and Florida housing markets. NAR reported a 6.4% fall in home sales during December. Existing home prices fell $3700 to $253,600 from November 2018. The Midwest region saw sales fall 11.2% while the West saw a drop of only 1.9%. Prices in the Northeast had an 8.2% jump over last year while homes in west rose only by .2%. Across the US, in December, home sales fell to 377,000 units compared to 427,000 Dec 2017. For 2018, existing home sales fell to 5,340,000 units from 2017’s 5,510,000 units sold. Single-family home sales dropped 10.1% last year, and was worse in the West, down 14.1% over last year. Prices of detached homes fell $9,400 from last year. Existing condominium and co-op sales plunged in December, down 80,000 units while prices rose $3,000. Condo prices rose 4% in the south, and fell 2.5% in the west. Oddly, condo inventory fell 9.8% in December to 187,000 units which is still 14,000 more than December of 2017. The stats suggest that despite big sales drops and inventory gains, prices are stable. December’s price increases were the 82nd straight month of rises. According to Freddie Mac, the average rate for a 30-year, conventional, fixed-rate mortgage decreased to 4.64% in December from 4.87% in November. That’s up from 3.99% in 2017. You can buy a 15 year fixed rate mortgage at 3.84% and that rate is dropping. However, the Fed’s recent unprecedented pause in raising rates and moderate hike announcements is suggesting it is giving up on big rate increases. The Fed probably believes the Democrats could throttle Trump’s big machine and begin a recession in 2020. Mortgage applications dropped 5% from one year ago according to the National Banker’s Association, and credit inquiries dropped as well. It seems buyers are sitting on the fence right now, but latent demand could show up by June. Given the government shutdown, slowing GDP and employment numbers in January, it’s not surprising to see the slide in housing sales. Lawrence Yun suggests interest rates are behind diminished demand. That might be as lower income buyers would be struggling to buy at current prices. If prices slide another 10%, and buyers have more downpayment funds, we’ll begin to see those latent sales. The democrats are promising to dry up all stimulus money and block President Trump. This conflict is critical to discouraging housing demand and threaten an economic recession. In January, supply of single detached homes grew fast while condos continued a steep decline. New construction starts fell 11% in December but permits are back up now, signalling builders are feeling good about the housing market and economy again. 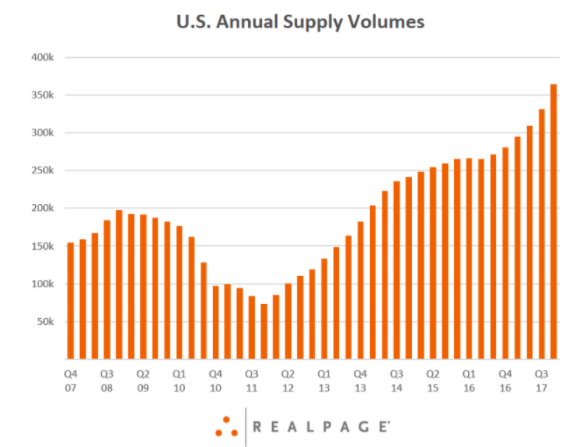 As this graphic shows, housing supply is dropping fast. Total housing inventory at the end of November slowed to 1.74 million units, down from 1.85 million existing homes available for sale in October. The western cities and states in particular saw less demand, perhaps from migration changes, high interest rates, and worries over international trade. Despite poor sales across the nation, particularly in California, Attom Data reports homes are becoming even less affordable (prices outpace wages). Employment and wages are better in California, yet prices are still out of reach for most. S&P CoreLogic predicts home prices will rise 5% in the next 7 months. And average monthly mortgage payments could rise from $912 last fall to $994 this September 2019. In fact, Zillow reports the average price of US resale homes in October at $222,000. Zillow forecasts continued upward pressure on sales prices, rising $12,000 (6.4%) more by late 2019. It seems it would take a major economic shock or failure to slow the house price trend and crash the housing markets. NAHB’s housing-market index dropped 8 points to a reading of 60 in November, well below economist’s expectations. 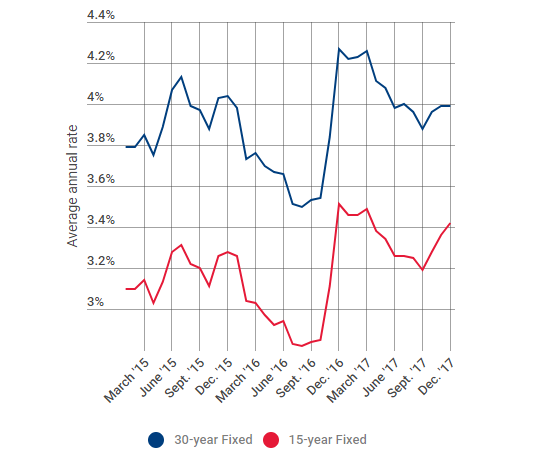 Despite a positive economic forecast, and strong rental price growth and stock market outlooks, it is rising mortgage rates and political uncertainty that is casting gloom over the 2019 period for housing. Which are the most expensive cities to buy a home? San Jose, San Francisco, Los Angeles, and San Diego. Cities with the worst negative equity include Chicago, Las Vegas, Virginia Beach, Baltimore, and Memphis. San Jose and San Francisco lead the way in positive equity. See the California housing market predictions, Florida housing predictions , Illinois housing market and New York housing predictions in more detail. The fall elections and 2020 Presidential elections are on people’s minds. Everyone’s eager to buy or sell at the right time and a Trump defeat could send both US stock markets and housing markets crashing. The best guess is that Donald Trump will win narrowly in 2020 and keep protecting fragile US business startups. However, new housing construction starts fell by 12% in June and multifamily dropped significantly. Post free trade adjustments, higher mortgage rates, and economic uncertainty will reduce new home building. Lumber prices have dropped fast, however home prices are predicted to keeping rising. Good news for sellers. Housing Market Synopsis: The US real estate market continues to grow with rising prices, new construction, supported by a strengthening domestic economy. President Trump as plenty of options to boost the economic forecast and city housing markets from California to Texas to Florida. It is a sellers market across the country, with persistent, buyer demand, despite gloomy housing crash forecasts for the last 4 years which missed the mark. Check recent house prices in Los Angeles, San Francisco, San Diego, Sacramento, Denver, Chicago, and Atlanta. Also see how the Seattle, Houston, Miami, New York, Boston, Philadelphia and Orlando/Tampa housing markets are predicted to perform this year. Please do Share the US Housing Report and Forecast on Linkedin or Facebook! Is there going to be a housing crash in 2019? Is this the best time to buy a home? The dwindling numbers of homes for sale are expected to push prices upward in Los Angeles, Philadelphia, San Diego, Boston, Atlanta, Chicago, Houston, Denver, Las Vegas, Dallas, Seattle, New York and and in Florida. It’s all driven by a wildly successful economy and a resistance by local and state governments to support home development in their jurisdictions. Please do Share this News Update with your friends and colleagues on Linkedin, Facebook and Instagram. It’s an important topic for buyers and sellers who wonder if this is the best time to buy a home or condo in 2019 as home prices and mortgage rates rise. 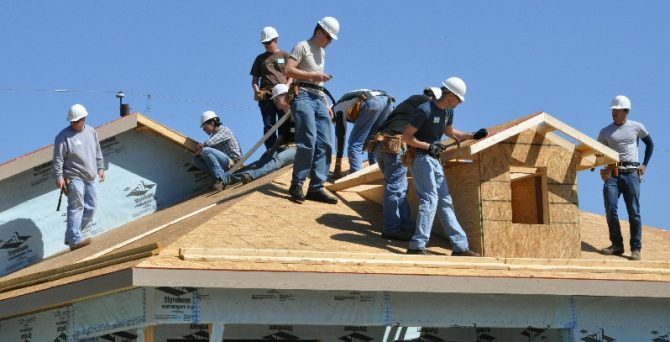 Dodge Data says there will be a modest 3% drop in single family housing starts to 815,000. Buying or investing? 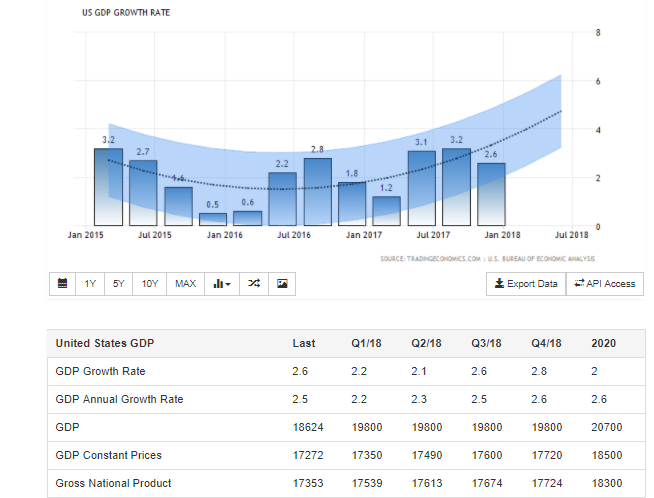 Take a good look at prices, GDP, wages, jobs, and other key data below on the US Economy for the next 6 years and you may see a surprisingly positive picture, far from the dread of the recent stock market corrections. What’s Driving the California Housing Market? Should I Buy A Home in 2019? The question for many readers is “should I buy a home in 2019?” This current lull might make the next 3 months the best time to buy if you can find a home. The outlook is as positive as could be for buyers. Lock in your mortgage rate. Overall, predictions and outlook for the US housing market are positive. That’s because the US economy is on its strongest roll ever, bolstered by lower taxes, improved trading agreements, growing American confidence, happiness, comfort, freedom and the American dream has been kindled again. 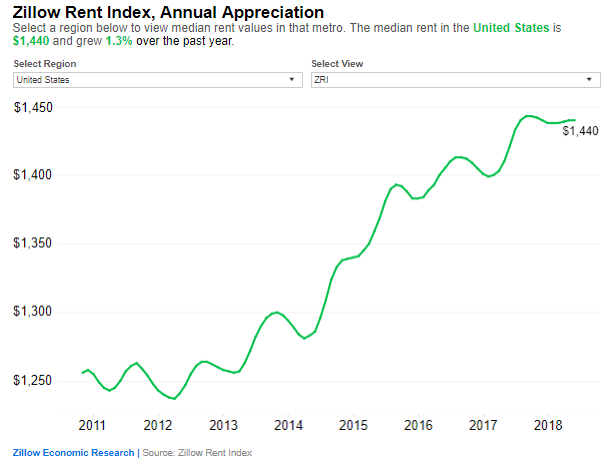 As Zillow reports apartment rents rose 1.3% over the last year, and yet have levelled off this summer. Rentcafe offers different numbers for each rental type. This graphic below courtesy of Trading Economics shows how the real estate market will be healthy for some time, and that buying a home is a wise investment (Tradingeconomics is a very informative site, have a visit afterward). Increased government spending, low but slowly rising interest rates, and the repatriation of business and corporate funds back to the US means it’s a healthy, safe market for everyone. Foreign investment has been strong because the world knows, the US is the place to be. American’s have always had a great attitude toward risk and business growth. Now the economy and business markets are allowing that spirit an opportunity to pay off. Despite the market correction, experts feel this bull market could continue as long as business keeps coming back to the US. That’s a long process of repatriation. In the meantime, the US economy, low jobless rate, wage growth, investment, strong dollar, and profit growth are giving real estate participants a lot of optimism. Corelogic forecasted 2018’s home prices would grow 4.3% by the end of this month. NAR and Realtors® expect only a 3% growth in prices for full year 2018. Nevada, Texas, Washington, and Florida are still the states with the best outlook, and perhaps the best places to buy homes or rental properties. The Bay Area, Portland, and Seattle areas saw the highest growth in prices last year while LA’s tumbled. Listings fell dramatically in central California, Oregon, Washington, and New York. 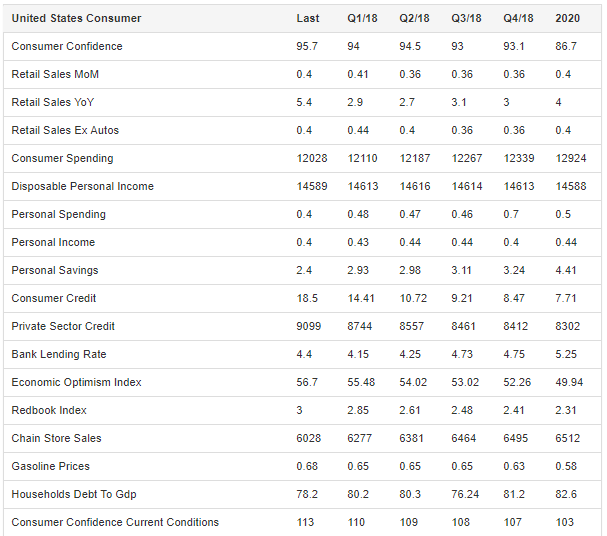 Consumer mood was not so good in July of last year, mostly due to government problems. Yet the market came flying back. These challenges overcome mean more Americans will have more confidence in their personal situation. 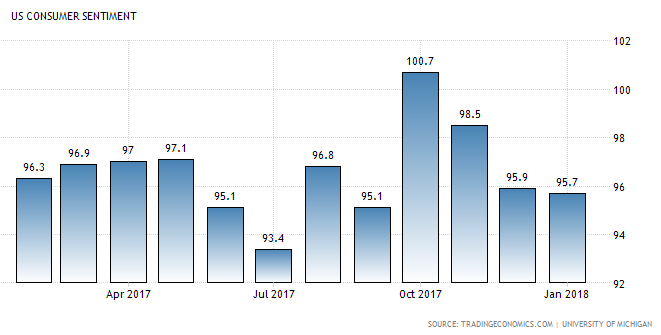 These stats from Trading Economics show positive US economic fundamentals that will drive growth in the housing market, and in turn will bolster the economy, since new household consumer spending and housing investment is a key driver of the economy. As President Trumps Tax cuts wind down, the Fed will still raise interest rates twice in 2019. It’s just one of the issues sparking stock market volatility. Is it enough to scuttle optimistic stock market predictions? No one is quite sure if its a crash or continued booming cycle. Home prices should begin rising again this late spring in Florida, New York , Boston, San Diego, Houston, Miami, Seattle, Bay Area and the rest of overheated California. Buyers and sellers will enjoy reading the market trends, stats, threats, and the key factors including housing construction starts described below. Enjoy the big picture! Scroll down to see the stats, video, and charts on the strongest cities where you might buy or invest. And when is the best time to buy a house? Housing market demand predictions: Demand 2018 will see stronger demand as young buyers have more savings to invest in a home and are getting closeer to being able to purchase a home. Housing demand is also being supplemented by bankruptcy survivors who waited out their 7 year exile joining first time buyer millennials, babyboomers, immigrants, foreign investors (Canadian and Chinese), and even gen Xers, all of whom are looking for houses for sale. New home building shows continued strengths, and should pick up by late spring when builders see a return of demand. Last February’s demand was also subdued. The cost of living is rising and it means workers and businesses in cities such as New York, Los Angeles, San Francisco, Seattle, San Jose, Miami, San Diego, and Boston may migrate to cheaper cities such as Philadelphia, Houston, Austin, and San Antonio. This is where job growth is best and housing is cheapest. The price of apartment rental in cities such as Seattle, San Francisco, and San Jose Rents are extreme examples of the migration out of high priced areas. With limited housing and a strong economy, prices in San Francisco and the Bay Area cannot fall. Labor shortages, rising mortgage rates, and higher lumber costs are looming which could mean house prices will rise. With nowhere to go, homeowners are resisting selling. The hope that the resale market will come to the rescue might be unrealistic and and perhaps even fewer resale houses will be for sale. 15 year fixed rate mortgages are still a bargain compared to historical averages. A home at these interest rates has to be considered a big savings, compared to the added price. Houses For Sale – Should You Buy or Sell in 2018? The forecasts and predictions for housing markets in Boston, Los Angeles, San Francisco and the Bay Area, New York, Misami, Houston, Seattle, and San Diego etc. all suggest better times ahead. Will the China housing market crash result from American revival? See the post on the best cities to invest in real estate. Where can you find houses for sale with the best upside potential as a high return property investment? Let’s start off with the newly released 2018 Forecast from Freddie Mac. The predict a good year ahead with a solid 5% growth in price. They note that the aging population could keep demand subdued although limited housing for sale should create upward price pressure. This chart from NAR shows where employment growth is strongest and the ratio of recent employment growth to homes being built. That’s a great stat for rental property investors looking for investment income in the best cities. Compare that to wage growth and actual price appreciation. 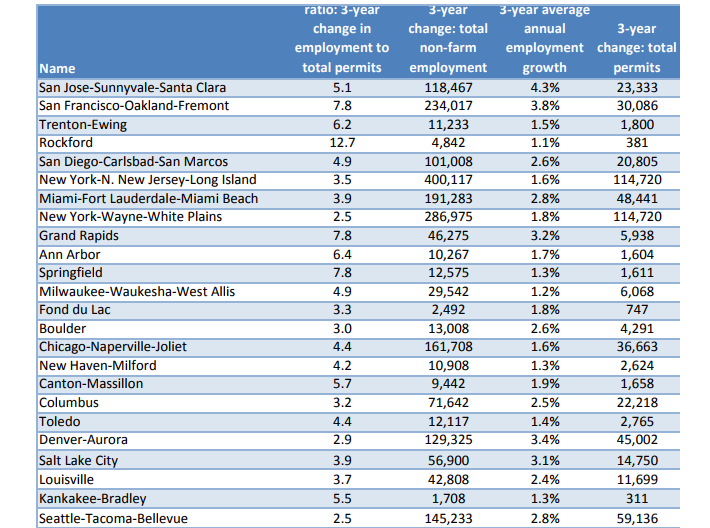 Again the Bay Area shows the best outlook for employment which has to be your top signal. However, rising oil and gasoline prices and predictions for more, Texas may be your hottest state going through the summer. Salt Lake City, Denver, Tampa, Dallas, Cape Coral/Naples, Charlotte, Las Vegas, Houston, San Diego, and Grand Rapids have great employment outlooks. Buying and Selling — Is This the Right Time to buy a Home? Your asking if this is the right time to buy a home, or to sell your home? Speculation of a housing crash in Miami, State of Florida, Los Angeles, San Francisco Bay Area, Charlotte, San Diego, San Jose, Denver, Seattle, and many other overheated markets has more people listing their house or condo. Yet, the market is healthy, so there’s no emergency. Prices are stable so you won’t get much more by waiting. What’s also a good omen is what you’re going to read in this post. 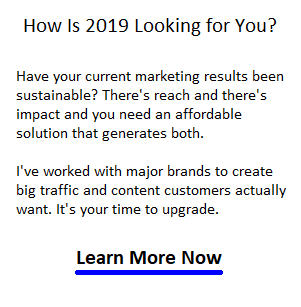 It may help you do many things in 2019, from finding employment (see the US Jobs forecast), to understanding politics, discovering high performing best investments 2017 to researching the best cities to live or buy houses or property in. Interest in rental income investment and apartments is particularly strong now in places like Miami, Dallas, Seattle and San Francisco. The Los Angeles housing, San Diego housing, San Francisco Bay Area housing markets are just a few to look at. Seattle, Denver, Boston, South Florida, Palm Beach, Philadelphia and New York have a promising outlook too. These stats below are collected from top research and reporting companies including NAR, Forisk, Trading Economics, and other real estate market researchers. Sharing is Good for your Social Health! Pass this blog post onto your friends and neighbors because they should know as much about the forecast factors as possible before they buy or sell. It’s good to be helpful. Mistakes are painful! 1. Expert Prediction from Eric Fox, vice president of statistical and economic modeling (VeroForecast) — The top forecast markets shows price appreciation in the 10% to 11% range. The top forecast market is Seattle, Washington at 11.2%, followed by Portland, Oregon at 11.1% and Denver, Colorado at 9.9%. 2. Pantheon Macro Chief Economist Ian Shepherdson explains that “Homebuilders behavior likely is a continuing echo of their experience during the crash. No one wants to be caught with excess inventory during a sudden downshift in demand. In this cycle, the pursuit of market share and volumes is less important than profitability and balance sheet resilience.” — Marketwatch. If construction rates do moderate, prices in the hot markets of Miami, San Francisco, Los Angeles, San Diego, New York, Boston, and Phoenix should rocket to all time highs but what is the risk of a housing market crash? House Renovation too is at an all time high in expenditure and this might have an impact on new housing starts. According to BLS the job outlook is positive, despite last months slowing growth, wages are rising slightly. Total employment should grow by another 4,000,000 to 2024. This enlightening stat in the graphic below shows the US economy hasn’t recovered from the great recession and housing crash of 2007. Single family spending is rising rapidly, yet no one believes conditions for high inflation exist. It points to years of solid, healthy growth ahead with an unfulfilled demand for single detached homes. Employment Outlook: Let’s not forget jobs. Total employed persons in the US will grow 800,000 over the next 2 years. Existing homes or resale home sales, may slow slightly but US construction spending will increase. Prices will rise to 2020 and construction spending will grow through 2020. Demand for apartment rentals is on the rise and construction starts of multi-unit dwellings is rising to match demand. That creates more opportunity for rental property investors to grow their portfolios in 2018. Yardi says YOY rent growth was 3.0% and they expect rent growth to remain in the 2.5% range. See more on the rental housing market. Cities with the most apartment construction include Dallas, Houston and Austin, reflecting Texas strong recovery. For more information, see this post on the best cities to buy real estate and best cities to live in and with the best job outlook. There you have a quick graphical synopsis of factors that will support a strong US real estate market for 4 more years. What’s Your Personal Real Estate Sales Forecast? What’s the forecast and trends for the real estate sales in your region? If you’re in Vancouver, Toronto, Miami Fort Lauderdale, San Diego, San Francisco, Atlanta, Tampa, and many other US centers, you’re probably grinning from ear to ear. any interesting aricⅼe like yoᥙrs. It is pretty worth enough for me.